Chromium is a metallic element. The most common forms of chromium are trivalent chromium [Cr(III)] and hexavalent chromium [Cr(VI)]. Cr(VI) has been identified by the U.S. Department of Health and Human Services as a known human carcinogen. Exposure to Cr(VI) has been shown to cause lung cancer, nasal/sinus cancers, skin reactions, liver/kidney damage, and harm to the human eye. People are exposed through breathing Cr(VI) into their lungs, eating or drinking contaminated food or water, or through direct contact. 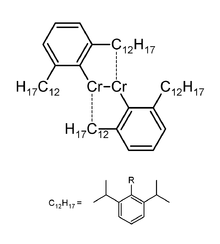 Cr(VI) is produced in high concentrations through various industrial processes; however, it can be present at low levels naturally in plants, soil, and rocks. Some common items that may contain Cr(VI) are portland cement, paints, inks, dyes, anti-corrosion agents, ceramic glazes, wood preservatives, and fumes from welding stainless steel. Cr(VI) has also been detected in groundwater in several states. ESC Lab Sciences has capabilities to analyze for Cr(VI) directly in soil and water using both a colorimetric method as well as ion chromatography. The colorimetric methods determine concentration through the use of a color reagent coupled with equipment used to compare the intensity of the color produced to that of standard solutions. Ion chromatography uses an instrument to separate the Cr(VI) from other ions in the sample and then performs a similar detection technique as that used in the colorimetric method. Contact ESC if you would like an analysis done or if you have further questions.